For the first time in my experience with The Jungle Book — an experience that includes growing up with the 1967 animated Disney film, knowing all the words to all of the songs, and then being surprised by the strangeness of Rudyard Kipling’s original story sometime in my teens — I care about Mowgli. I have director Jon Favreau and screenwriter Justin Marks to thank for that. 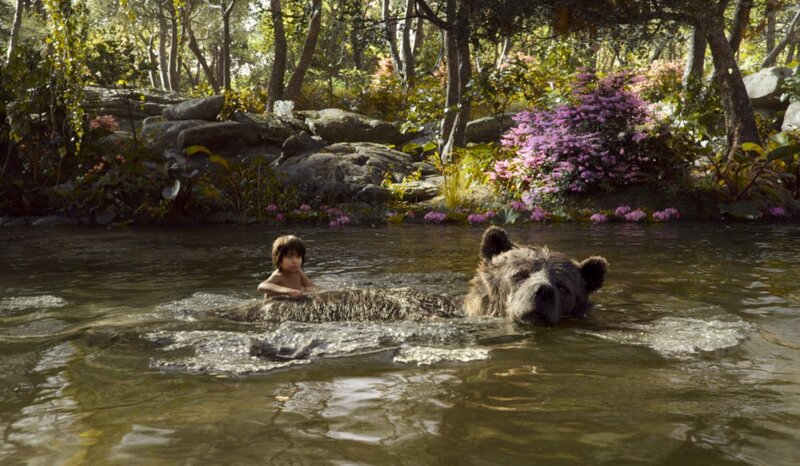 In Disney’s “remake,” a sumptuous and CGI-saturated Jungle Book, they have liberated the story’s central character from his lack of character and given him some real energy, some real heroism, some real… “red flower,” if you will. Mowgli has always been what I call a “pinball character.” The story launches him out of his proper place through some spring-loaded calamity, and the unfolding narrative is just a matter of watching him bounce, careen, and roll from one unlikely character or environment into another until he finally settles, seemingly inevitably, back in human society where he belongs. And, as with most pinball machines, the ball is the least-interesting part of the machine: it’s what the ball hits that lights up and makes exciting noise. The fun in The Jungle Book has always come from the various wild-animal candidates who befriend him (Bagheera the panther, voiced modestly here by Ben Kingsley), mooch off of him (Baloo the Bear, voiced appropriately by Bill Murray), want to eat him (Kaa, sensuously hissed by Ssscarlett Johanssssssssson), and want to tear him limb from limb (Shere Khan the Tiger, a seething Idris Elba). 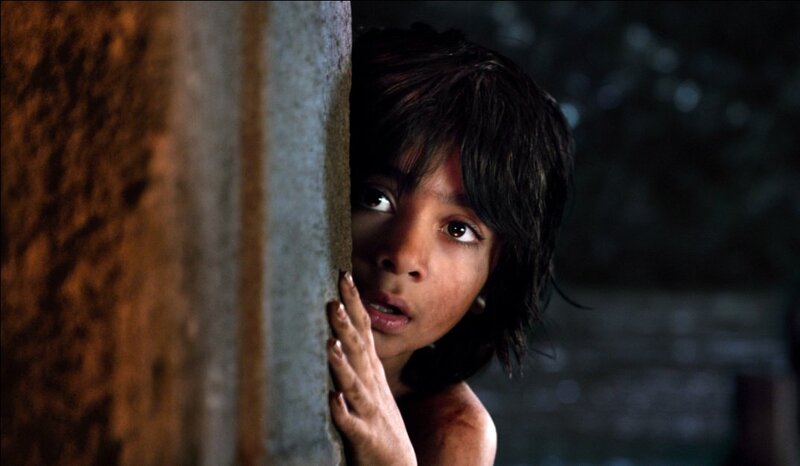 This Mowgli — well, first of all, to borrow a line from Pinocchio, he’s a “real boy.” And I don’t just mean he’s played by a human (although the young and spry Neel Sethi is a brilliant surprise, looking more like someone we’d see in a classic by Satyajit Ray than any live-action Disney film). This Mowgli is a three-dimensional character even if you watch the film in 2D (like I did). He’s quick, clever, expressive, and, in the film’s most surprisingly affecting scene, courageously compassionate. And yet, we still haven’t arrived at the reason why I suddenly find myself caring about him. I like this Mowgli because he has some credible reservations about his panther guardian’s intent to reunite him with human society. As a boy who grew up sustaining some serious aversions to the unimaginative, over-serious, and off-puttingly contentious world of adults, I feel a deep ache of empathy when this “man cub” comes within site of a village and feels repelled by the sense of violence and arrogance that radiates from the lights of its fires. I won’t get too spoiler-ish here, but suffice it to say that, while it has some moviegoers scratching their heads, the conclusion of this version feels just right to me. I’m still trying to make my peace with my own species. I’m still trying to figure out how to stay alive without playing “dirty human tricks.” Humankind isn’t inclined to support or respect those who desire to live by compassionate creativity rather than by competition and power games. Now, I know that’s a harsh generalization. But it’s a good one, in my experience. There’s already talk of a sequel, and I sincerely hope that we see a more nuanced picture of human society there. But the quick glimpses we get here rang dismayingly true. Having said that… this film is a mixed bag of good news and bad news. The bad news? The end-credits sequence — a fantastic innovation on the Disney tradition of beginning and ending their movies with the opening and closing of a storybook — is the most brilliant thing in the entire film. I won’t describe it, because it’s such an imaginative surprise. But I didn’t want that playful onscreen party to end. I had to fight hard to approach this film with an open mind. I’m not crazy about Disney’s compulsion to cash in on elaborate “live-action” (read 90% CGI, 10% actual footage) remakes of their animated classics. And as a huge fan of Bill Peet, a brilliant author and illustrator of children’s books who was influential in the design of the original, I prefer its visual style. I can’t say that I think Tim Burton’s Alice in Wonderland has made the world a better place, and I haven’t heard anything about Cinderella that made me want to see it in the theater. 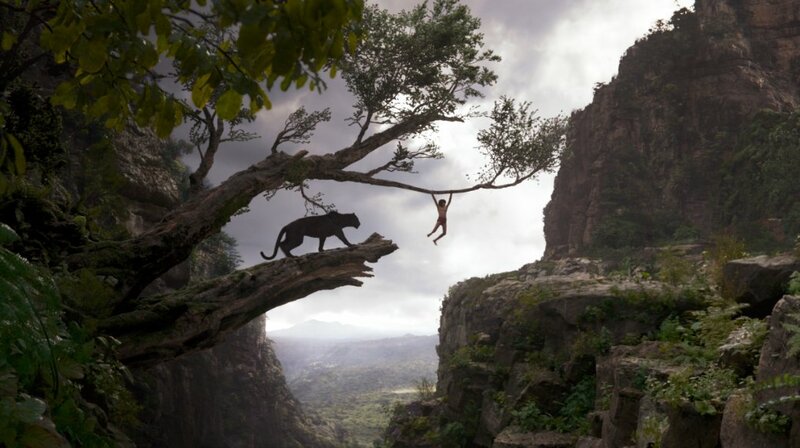 But Favreau’s Jungle Book manages to avoid all kinds of typical stumbles. It doesn’t treat the kids in the audience like second-rate intellects, and it doesn’t swing too far in the directions of Cute or Crass. If you’re looking for a faithful adaptation of Kipling though… well, you’d do better to adjust your expectations than avoid the film. This is about as true to the literature as Children of Men was to the P.D. James source (that is to say, hardly at all). But the screenplay by Justin Marks is a good one (he’s the guy writing Top Gun 2, of all things); it gives families a story that defines true humanity as living in friendship, compassion, courage, humility, creativity, and conscience. The storytellers take some admirable risks — especially in their development of Mowgli’s character into a conscientious, large-hearted, non-violent hero. It’s a busy week, as I’m deep into planning my upcoming course on film, the visual arts, and apologetics. So I’m going to hand the rest of this post over to the Looking Closer Specialists — readers who have shown remarkable support for this website, helping me keep it alive. of a Disney animated classic. Are you glad they went to the trouble? Are kids and families better off for having two versions? I think where the first film excelled was with the hand-drawn character animation and how those cartoon characters were interacting. In those regards Disney was at the top of their game. If I remember right they intentionally placed the characters over the story, compared to their other films at the time. The first version was a quirky and fun look at relationships. This version is a large, sweeping, and majestic adventure. They have different scopes and I appreciated them for different reasons. I loved the beasts that were created in this version and how they interacted with each other and the boy. I also enjoyed the scenery. Yes. I haven’t seen the animated version in a long time, but I feel that this one is superior. The animated film is a minor work in the Disney canon. I had fun watching it as an adult, but largely because I had a frame of reference from my childhood. It was interesting that Favreau said he did not set out to do a “faithful” remake, but rather one that was faithful to his impression of the original film as a kid. My apocryphal paraphrase: So, when Favreau got the job, he tried to recall and write down everything he remembered about the movie and how it made him feel as a kid, etc. He tried to use that as a starting point for how to approach the film before revisiting the original for the first time in 30 years. So you have the terror of King Louie, for instance, who is basically King Kong, coming from an adult who is trying to translate his childhood thrill into a new experience that makes sense to him today. Interesting, at the very least. I think this movie has a lot of good ideas, but they don’t work together well. The more serious tone and the songs, the animation and the live-action — all feel as if created by different departments. The story really is the best thing, but the movie as a whole feels crippled by the familiar elements they have to put in. So maybe the form “live-action remake” is to blame and we should not have any more of them. the hand-drawn animation version doesn’t have? Or does this version just increase your appreciation for the original? I prefer hand-drawn animation but I also appreciated the characters in this film, and I enjoyed some of the lavish backdrops. I think the two films can sit side by side. Time will tell if this film becomes the classic that the earlier film has. I suspect it won’t. Actually I would be surprised it it did. I generally prefer 2D animation over 3D when it comes to fully cartoonish characters, but these characters sat somewhere between cartoon and real life in the vision of them. So I thought 3D fit them fine. I really liked the design of these characters. The tiger was wonderfully sinister in both his design and actions. I thought he was a great character. The CGI style is too “realistic” and serious. Even though the animals behave like humans in a way, in this movie they look 100% like real animals. That is different from other Disney movies where the animals not only behave like humans but also look human in a way. 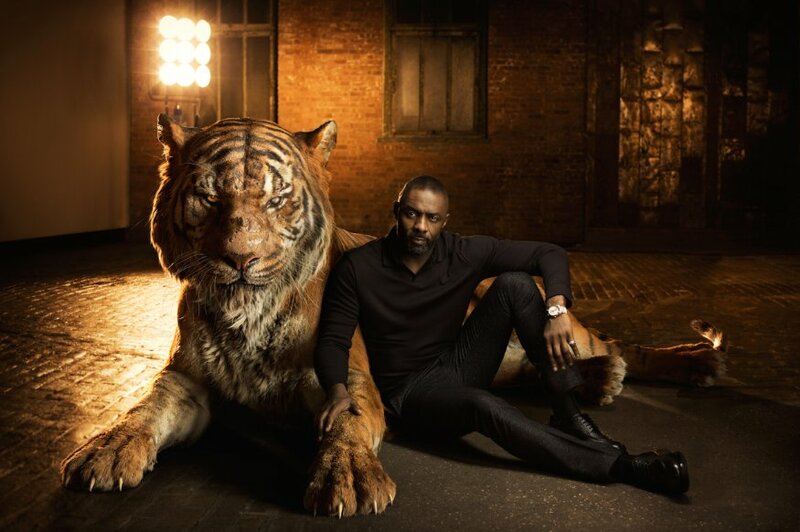 But this was necessary of course because of the physical presence of the young actor who played Mowgli. I think the hand-drawn version has more freedom. The seriousness of the very realistic CGI does not match up with the playful musical style the filmmakers want to recreate. I love hand-drawn animation dearly, but this movie was a great venue for the chosen treatment. The transition to the dry season sequence was a beautiful example of what can be accomplished through this style. worked the original songs into the film? “I Wanna Be Like You” fell completely flat. It didn’t work at all. “The Bear Necessities” was completely fun. I loved how the boy was diggin’ right into it. That was one of my favorite moments with him. I agree with Chris Angus, “The Bear Necessities” was fun, but King Louie (the monkey) sang a happy jazzy song while he was covered in dark shadows. I agree with the other responses. “Bear Necessities” fit better than “I Wanna Be Like You.” They should have left that for the charming end credits. It became redundant at the end because of the repetition, rather than a fun surprise. It undermined the mafia-boss/Colonel Kurtz scariness of the moment, but that may have been intentional. I don’t think they needed to work in the music nearly as much as they did. I had mixed feelings about the King Louie song — it was both surprising and jarring and scary (good things, in my humble opinion), but it also reminded me of the little Goblin Town revue in Jackson’s The Hobbit. But perhaps, more than anything, it brought up the realization of how rare and odd it is for us to encounter songs in films today. It used to just be common practice, even Hitchcock did it once or twice. what do you glean from this narrative? 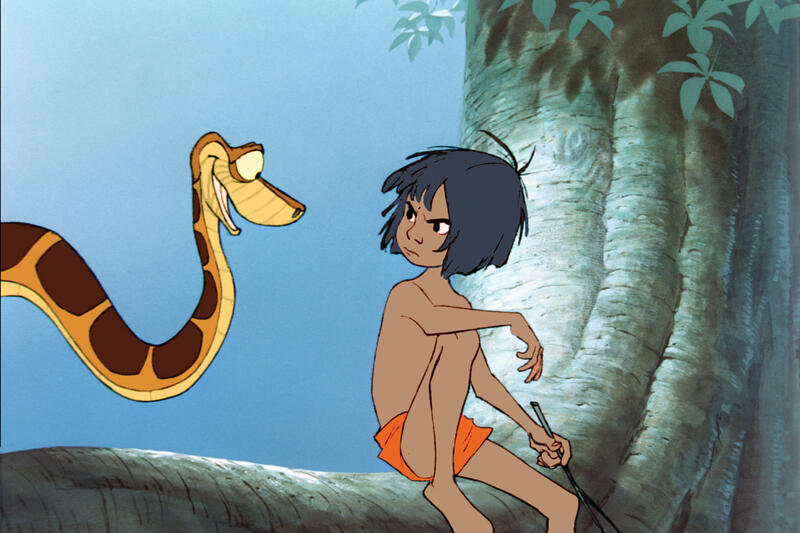 Is Mowgli a hero, and if so, why? It’s about being yourself and to be able to express that. What the movie seems to add to this is that it totally doesn’t matter if your environment is not compatible with your personality or skills and that your talent will still benefit you and them. I am very curious about what everyone thought about the ending compared to the ending of the original. I would think that this film shows more of a Biblical view on the idea that humans are expectional, being made in the image of God, even while the animal kingdom has immense value. This Jungle Book conveys the idea that “man” is responsible for taking care of the natural world, for sure. But I also got some hints of the notion that human interaction with nature has the potential for elevating and ennobling it. 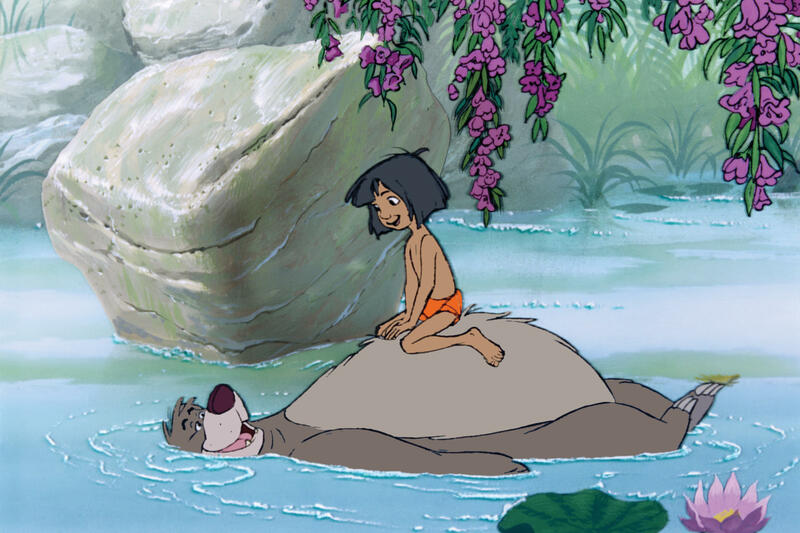 Baloo, for selfish reasons, is the first to see the benefits to the animals in allowing Mowgli to use his “tricks,” the animal name for the tools he creates. Bagheera and the others come around, mainly due to his interactions with the elephants. The elephants are treated with a quasi-religious reverence. 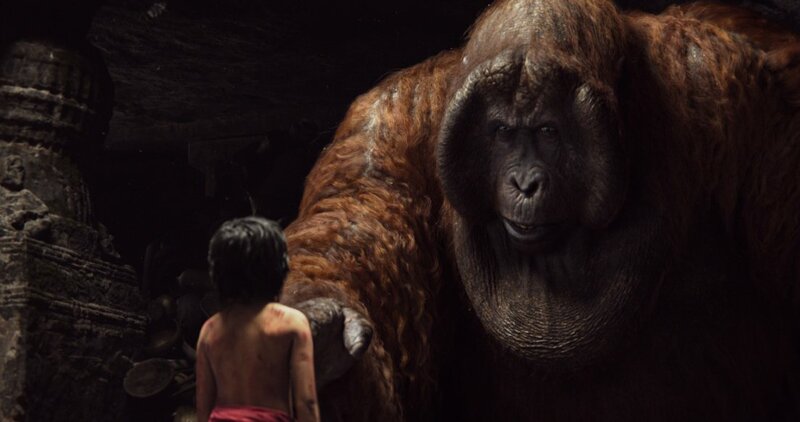 Mowgli treats them with respect, but is not afraid to direct them. 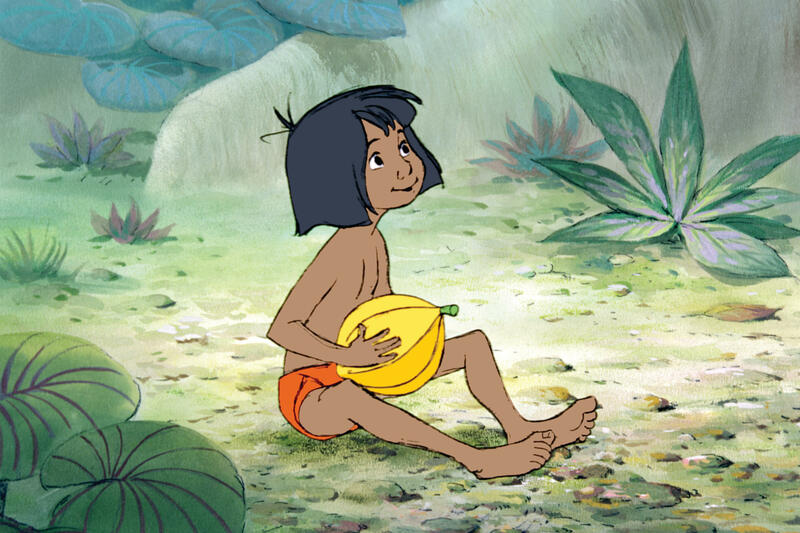 Mowgli is a hero in the story, but he is still a child. The story wants us to see that we humans can learn from nature, even if we are its master by means of our technology. That’s why a child is the protagonist: he has to still be in the position of a learner, and be inexperienced. Kaa and King Louie have to be extremely large, though, so that we the viewers will see their exotic and frightening power like Mowgli does. The giant bonfire in the town is similarly outsized. What’s the best reason to see it? what’s the best reason for that? The best reason to see it is because it sent what is left of my inner child on an adventure that wasn’t found in the earlier film. The earlier film had other attributes that this one didn’t have though. It was much more magical in how it dealt with the relationships between the child and the animals. The best reason to see it is because of its messages about conformity and self-expression or “being yourself,” even though the bold statement the ending seems to make in comparison to the plot of the original Jungle Book confused me. The best reason to avoid it in theaters has to be the almost half hour of dreary to execrable trailers for family “entertainment” that I had to sit through.